Sometimes the best gift you can give is a gift card. But when I give a gift card I like to still try and make it special. 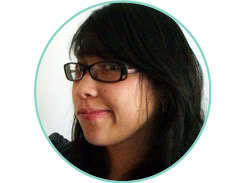 I still want my recipient to have something to open and hold you know? I’m kind of a gift giving snob. I love making or finding something that my recipient will really love. But sometimes the perfect item is more of an experience like a massage from Massage Envy or movie outing. And sometimes I just don’t have a great idea and rather than buying something generic I want my loved one to end up with something they really like. For those times I happily give gift cards. 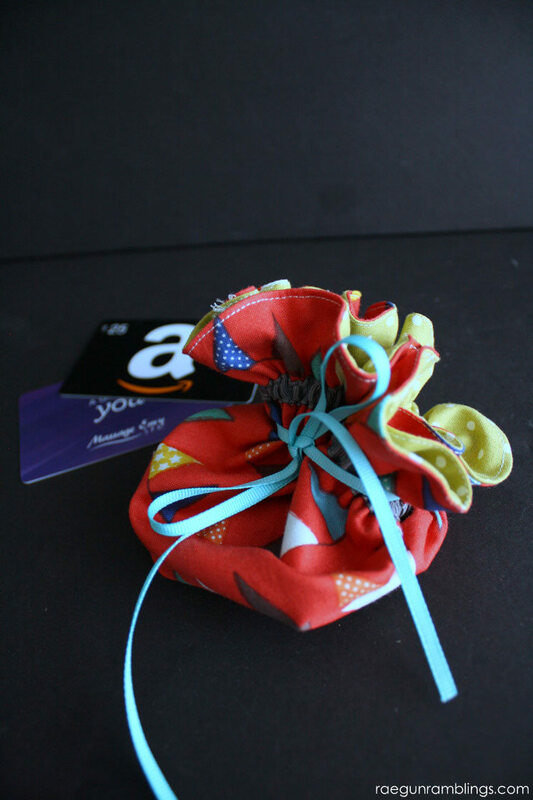 But when I give a gift card I always like to have a little something tangible with it and my favorite thing is to create a cute gift card holder that can be reused ad a little bag later. 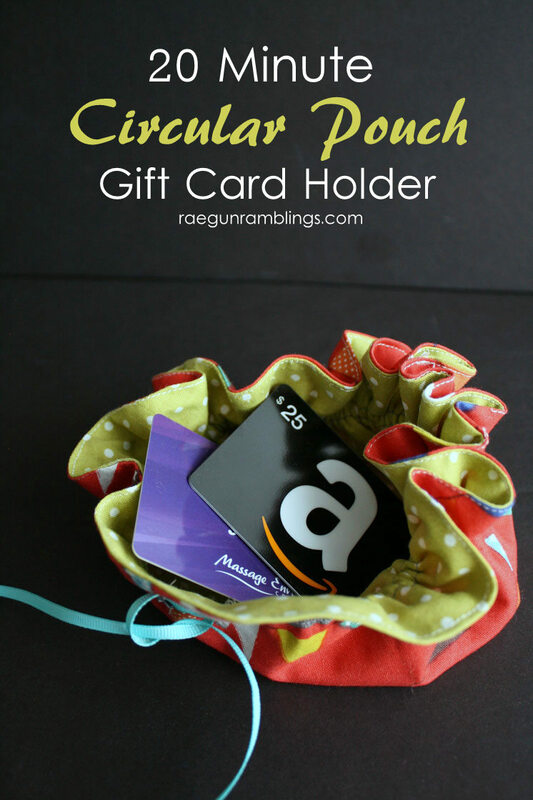 Today I’m sharing an easy circular gift card pouch tutorial. I love the non-traditional shape of the circular bag. In this tutorial I have sized the pouch to be the perfect size for one or two gift cards but you could easily change the measurements to make a bigger or smaller bag! Small safety pin (it needs to be skinnier than the width of your ribbon). Cut both fabric pieces into 11 inch diameter circles. With right sides together sew the fabric together using a 1/4 inch seam allowance leaving a 1 inch opening. Clip around the edges up to but not across to the stitching line. Turn your circle right sides out and press with an iron. Sew around the very edge of the circle to close up the hole. Run the edge of your ribbon across a flame to seal the edge. Lay the ribbon about an inch from the edge of your circle. Sew down along the very edge of your ribbon. Repeat on the other edge. This will make a casing for your drawstring. Make sure to pick a ribbon wide enough to thread your drawstring ribbon through and try to sew at the edge to leave enough space. Using a small safety pin to thread your drawstring ribbon into the casing. Fill with an awesome gift card! 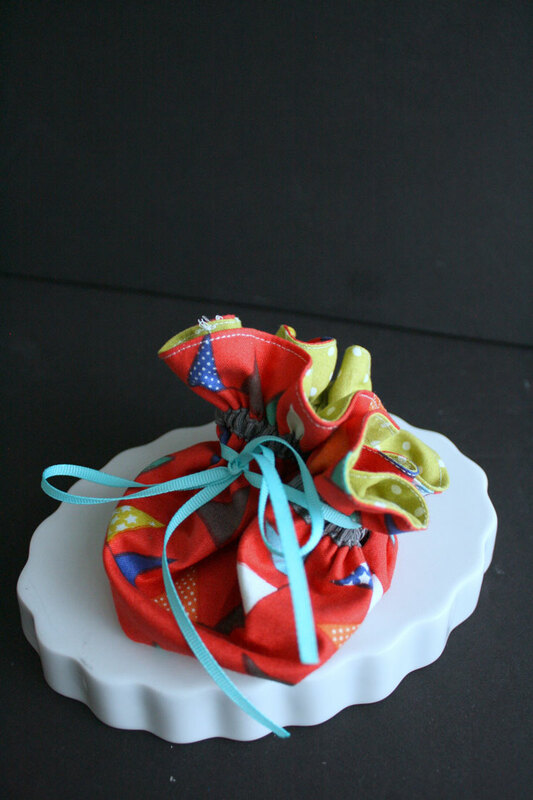 I shared how to make a circular pouch on Skip to My Lou 11/4/2015.